Welcome to my Friday bonus feature called Karen’s Killer Fixin’s **Author Special**!! Today, in lieu of one of my own recipes, I’m going to introduce you to a new author who will share one of her favorite recipes. Not only will you and I occasionally learn how to make something new and delicious, but we’ll get a chance to check out some wonderful authors. Introducing author, SUSAN SCHILD, and her favorite recipe for CRISPY DIXIE CHICKEN! Linny’s Sweet Dream List is a Southern story about love and family, small town life and bright characters you are going to want as friends. The book is a sunny, wholesome read. If you are ever overwhelmed by the bad news in the world, join me in Willow Hill, North Carolina where colorful characters are searching for – and finding – their happily ever afters. Fans of Mary Kay Andrews and Dorothea Benton Frank may well enjoy Linny’s Sweet Dream List. Linny‘s Sweet Dream List is the first of three Willow Hill novel. Two sequels to the novel, Sweet Carolina Morning and Sweet Southern Hearts – will be released later in 2016. What if you married the man of your dreams, and then found he’d emptied your bank accounts? Meet Linny Taylor. Linny’s Sweet Dream List is a sunny, wholesome read. If you’ve ever been overwhelmed by bad news in the world, you may need to take a trip with me to small town of Willow Hill, North Carolina where colorful characters search for – and find – their happily ever afters. The book is about what is important to me – funny girlfriends, good men, satisfying work, women who have adventures, noble dogs, and finding true love at any age. Fans of May Kay Andrews, Dorothea Benton Frank and Mary Alice Monroe may well love Linny’s Sweet Dream List. Thank you, Karen, for sharing Linny’s Sweet Dream List with your readers. I am very grateful! Let me know if I can be of any help to you, and my best wishes for the New Year! Introducing Susan Schild, and her new Southern novel, Linny’s Sweet Dream List, which is available January 5th in paperback and digitally on Amazon. Susan Schild writes sweet Southern fiction… with a kick. Her wholesome and funny novels feature charming men, missing money, fresh starts, good girlfriends, women who have adventures, noble dogs, and finding true love at any age. Susan is a wife, and a stepmother. She enjoys rummaging through thrift store and antique stores, boat rides, weekend getaways with friends, and reading fiction. Susan loves all dogs, but especially Lab mixes. She and her family live in North Carolina. Susan is busy finishing up the second and third novels in the Willow Hill series, Sweet Carolina Morning and Sweet Southern Hearts. Both are scheduled for release in 2016. You can read more about Susan and her books on her website. Sign up for her quarterly newsletter to get the exclusive inside scoop, deleted scenes and to chances for giveaways. I hope you enjoy the recipe Susan is sharing with us today on Karen’s Killer Fixin’s. Happy eating! P.S. We’re at 241 recipes and counting with this posting. Hope you find some recipes you like. If this is your first visit, please check out past blogs for more Killer Fixin’s. In the right hand column menu, you can even look up past recipes by type. i.e. Desserts, Breads, Beef, Chicken, Soups, Author Specials, etc. 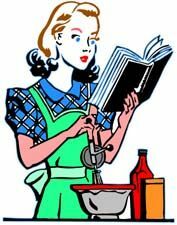 A cooking note: A career gal, Linny is not particularly domestic, but when she starts to spend more time with Jack and his son, she takes an online class and learns to cook. Place chicken breasts on cutting board, flatten with a cooking mallet to about an inch in thickness, and set aside. Put French fried onions in zippered plastic bag on cutting board and mash with kitchen mallet. (fun, right?) Pour mashed French fried onions in a shallow bowl or baking dish. Put the buttermilk or yogurt in a bowl and add salt and pepper. Dip the chicken in the buttermilk or yogurt and dredge in French fried onion mash up. Place coated chicken breasts in a glass cooking dish, cover, and refrigerate for several hours. Take out of fridge ½ hour before baking and let them rest at room temperature. Add chicken broth. Cover with foil and bake at 375 degrees for 30-45 minutes or until internal temperature of chicken reaches 165 -170 degrees Fahrenheit. This entry was posted in Karen's Killer Fixin's and tagged **AUTHOR SPECIAL**, Chicken. Bookmark the permalink. I am so grateful to you for helping get the word out about LINNY’S SWEET DREAM LIST. Thank you, and I hope your readers love it! Hi, Susan. Thanks for sharing even more of the book. Thanks again for stopping in to chat with us today. Thanks, Karen! So appreciate your support. Your chicken sounds yummy and your chapter is enticing. Thank you. I’m excited to try your chicken recipe. I’m curious if it comes out crunchy ( like fried) or more moist. You’re a new to me author so I’m excited about your series. Thanks for your note. The chicken is both crunchy and moist. That “marinading” in the buttermilk or yogurt seems to do the trick for not drying it out. I enjoy classic Southern dishes, but try to find healthier versions of the recipes. Glad you are looking forward to Willow Hill series. The women are smart, funny and likable.